We exhibit our products at METALEX 2015 in Bangkok, Thailand. A diffuser plate is placed over LED lights or some light source. The diffuser plate uniformizes amount of light, realizing a uniform area light source. A light source is set on the side of a light guide. Light stream is casted into the light guide plate. The light guide forms an area light source of thin type. We assemble modules for displays or indicators, and finished products. We also design and produce electronic circuits and housings. Our motto is “To Achieve Brilliance”. We provide products that other companies cannot imitate. 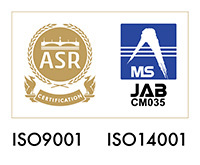 We produce high quality products, using high quality control. To meet customer’s requirements, we strive to overcome any obstacle. We provide display units and indicators that have very unique features. We also provide complicated silk-screen printing products such as light guide plates, diffuser plates, and polarizer plates, which are all designed, developed, and manufactured by our company. And we provide joyful and colorful products used for events and festivals. 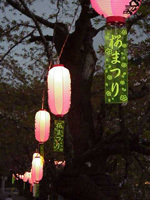 They include water-soluble paper lanterns that have been originally developed by us, Buddhism rotary lanterns, festival lanterns, and various fancy strips.